Are you happy with your iPhone’s battery life? If your iPhone regularly ends up in Low Power Mode or doesn’t always make it to the end of the day without extra juice, read on to learn how to determine when it’s time for a new battery. It may be important to get to this soon because people with an iPhone 6, SE, 6s, 7, 8, or X can likely get Apple to replace the battery for just $29 through December 31st, 2018—the price will go up in 2019. (The cost is $79 for even older iPhones; non-Apple repair shops may be less expensive, but it’s generally better to stick with Apple’s parts and service providers.) That $29 price is thanks to a discount program Apple instituted in January 2018 as an apology for silently reducing the performance of the iPhone 6 and later in an effort to prevent them from shutting down due to weak batteries. See Apple’s A Message to Our Customers about iPhone Batteries and Performance for details. Here are the top three signs that you need a new battery right away. This one is obvious and possibly dangerous. If the lithium-ion battery in your iPhone is defective or damaged, it can swell due to outgassing or other chemical reactions. In the worst case, a swollen battery can catch fire or explode—it’s why airlines are concerned about batteries in luggage. If you notice your iPhone is swelling, you need to deal with it immediately. Power it off and place it in a fireproof container. Then take it to a repair professional or an Apple store right away, or call us for advice on how best to proceed. Generally speaking, iPhone batteries last a few years without losing too much capacity. However, if your iPhone’s battery drains well before the end of the day, or if it shuts off unexpectedly, that’s a sign that you may need to replace the battery. 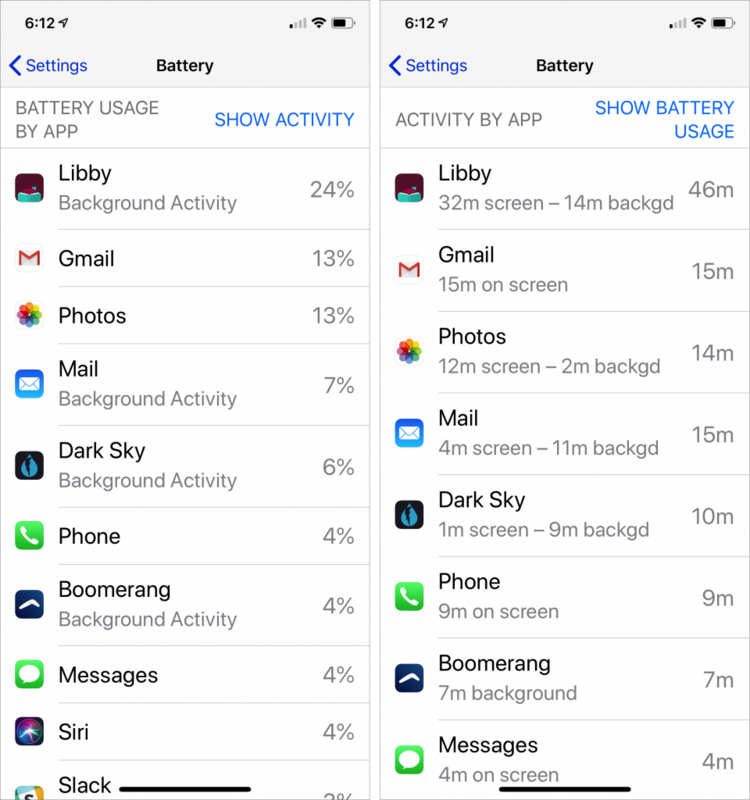 Before you do that, go to Settings > Battery and look at battery usage by app, which shows which apps have consumed the most power for the last 24 hours or the last 10 days. Tap Show Activity to see how many minutes the app was in use. If anything near the top of that list seems odd—it’s not an app you use much or its background activity is excessive—consider force-quitting the app. (Open the app switcher by double-pressing the Home button on a Touch ID iPhone or swiping up and slightly right on a Face ID iPhone, then swipe up on the app’s thumbnail.) You might also disable that app’s switch in Settings > General > Background App Refresh. But if your iPhone is more than a few years old, it’s probably time for a new battery. Batteries are consumable items, and Apple designs the iPhone to retain up to 80% of its original capacity after 500 complete charge cycles (from 0% to 100%, even if that comes over the course of several charging sessions). Don’t suffer with a weak battery—just get it replaced. Starting with iOS 10.2.1, Apple changed things so the iPhone 6 and later would reduce performance to avoid peak power demands that could overwhelm an older battery and cause the iPhone to shut down unexpectedly. Not shutting down is good, but reducing performance is bad. So if you have an iPhone 6 or later that feels poky, it may be iOS throttling performance to work around a weak battery. With iOS 11.3 or later on these iPhone models, you can go to Settings > Battery > Battery Health to learn more about your battery. 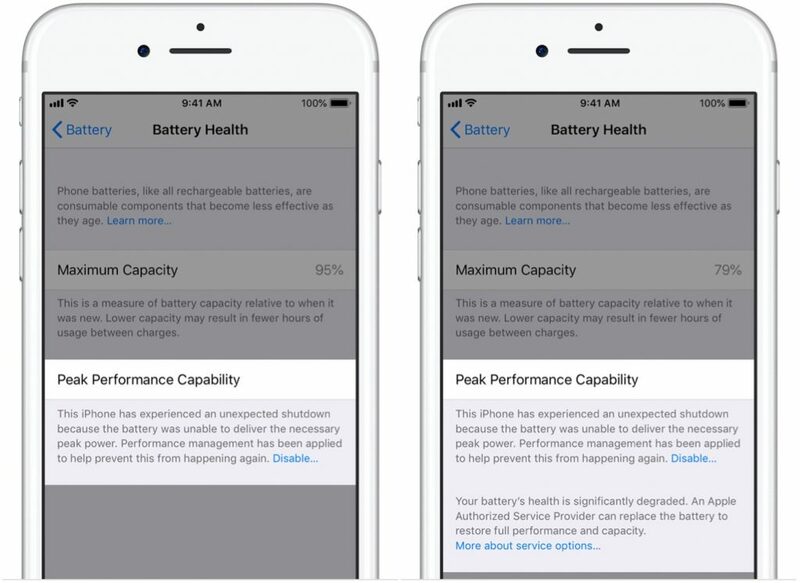 iOS displays your maximum battery capacity and, under Peak Performance Capability, tells you if it has enabled performance management to avoid shutdowns. That’s a hint you need a new battery, and we’d be concerned about any maximum capacity under 90%. iOS lets you disable performance management to avoid the throttling, but it’s nuts to do that and risk unexpected shutdowns. Just replace the battery and your performance will return to normal. Apple will replace an iPhone battery for free under warranty only if its maximum capacity is under 80% and it has had fewer than 500 charge cycles. However, as previously noted, the company will replace an out-of-warranty battery in the iPhone 6 and later for $29 (plus $6.95 if shipping is required) through the end of 2018, so it’s worth taking advantage of the deal this month. In 2019, the price will go up to $49 for most iPhones and $69 for the iPhone X. So hey, don’t suffer with an iPhone that’s working poorly due to the battery!